No matter your size, our knowledgable staff will help you with all your questions, ordering needs, and delivery! 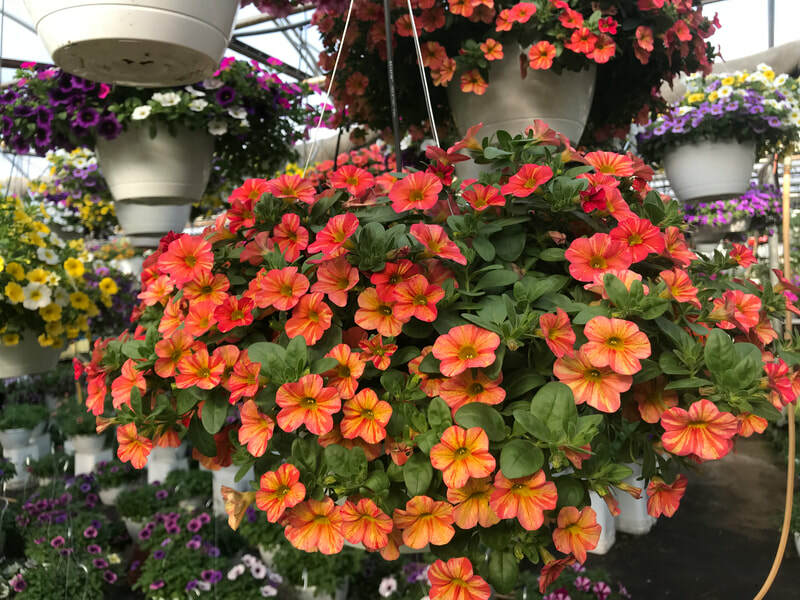 We offer wholesale in the spring for annual flowers including premium hanging baskets, annual and vegetable flats, and a wide assortment of 4 1/2" pots. 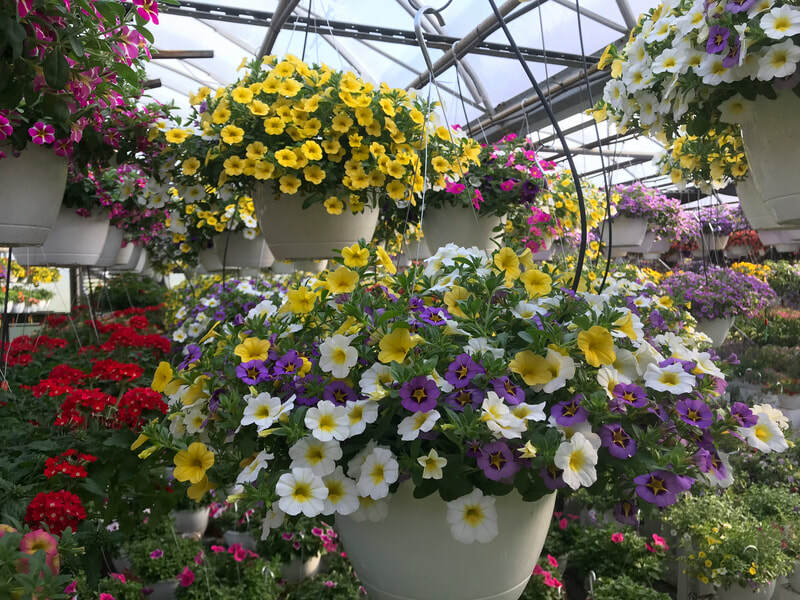 In the fall, we offer high quality, hardy mums in a wide range of colors. 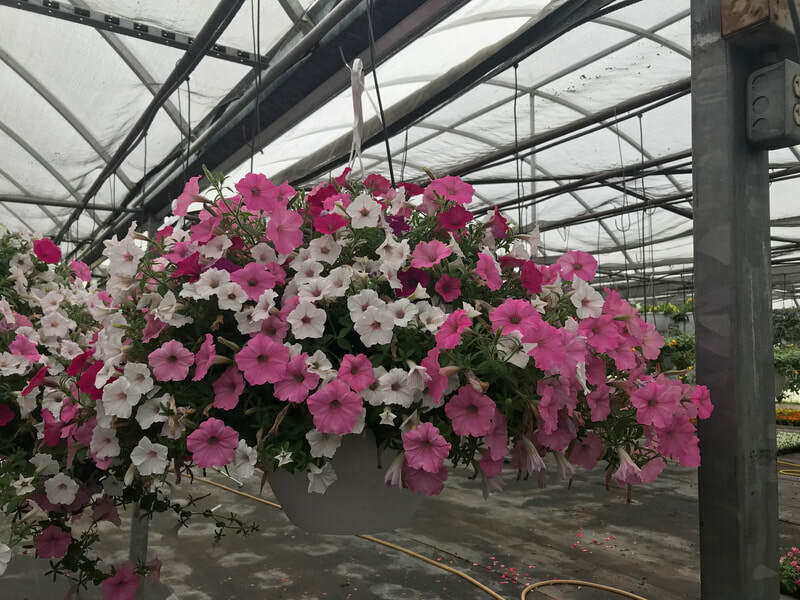 Contact Sales Manager Denise Overweg at 616-915-3038 for more information and a complete list of plant varieties and prices.